Last April, the voters wisely rejected the referendum to eliminate the office of State Treasurer. Much like I said in my 2014 campaign for Wisconsin State Treasurer, the voters felt that eliminating a constitutional office and consolidating powers in the hands of unelected bureaucrats is unhealthy for a republic, such as our form of government. If elected I will serve only one term. I will not spend more on my campaign than the office I’m campaigning for pays in one year. I will not accept donations from individuals outside of Wisconsin, nor from national organizations/lobbyists without a Wisconsin office or chapter, nor will I accept donations from individuals or organizations/lobbyists whose views conflict with my own. I will defend and protect the constitutional rights of the citizens of Wisconsin by keeping myself informed of any upcoming legislation which may undermine individual rights or compromise private property (ex. – asset forfeiture laws). 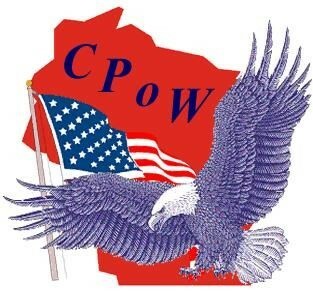 I will uphold and the defend the State Constitution and the platform of the Constitution Party of Wisconsin (https://www.constitutionpartyofwisconsin.com). Rainy Day Fund. The State Treasurer, not an unelected bureaucrat, should oversee the State’s “Rainy Day Fund”. While our elected officials in the legislature collectively determine whether withdrawals from the fund are made, the first sentence from my quotation above clearly indicates that, “The Secretary of Administration determines the amounts to be transferred from the general fund to the budget stabilization fund…” It is apparent that the Secretary of Administration – who is an unelected bureaucrat – has been delegated financial oversight of the State’s “Rainy Day Fund,” a responsibility which properly belongs to an elected official who answers directly to the people of Wisconsin. Add the Department of Financial Institutions to the Treasurer’s duties. Right now, this department (https://www.wdfi.org/) is led by a cabinet-level secretary, Jay Risch, who is appointed by the governor. Once again, a powerful accountability agency is directed by an unelected bureaucrat, further consolidating power in the executive branch of our State Government. Treasurer should be able to sit in on meetings at the WI Department of Revenue and be able to report back to taxpayers what is going on at the agency which handles their hard-earned money. Be a fiscal watchdog for the taxpayers of Wisconsin. I oppose corporate welfare and crony capitalism. I will use this office as a bully pulpit to speak out against and fight any misuse of taxpayer money. The State Treasurer should be able to conduct budget and agency spending audits. Financial education. There is a woeful lack of basic financial knowledge among the citizens of our state, and our nation. I intend to use my office to institute, support and guide remedies for this problem. The lack of financial knowledge is the product of what has been a gaping hole in our state educational system, which for many years has been without any kind of Economics or Personal Finance requirements for graduation. Our State is in desperate need of entrepreneurs, of young, creative, energetic and independent-minded profit seekers, who are confident in their ability to generate and manage revenue for the benefit of themselves, their families, their communities and their State. I am pleased that our legislature passed the Financial Literacy Requirement (Act 94) in December 2017, which finally requires Wisconsin school districts to adopt standards for the incorporation of Personal Finance lessons/courses in grades K-12. I intend to use the Office of State Treasurer to support these initiatives, and to strengthen them to produce not just sound managers of personal income, but powerfully effective, independent revenue generators – small businessman – to lead our State in the next generation. I also intend to use my office to educate senior citizens and others about how to save money and protect themselves against identity theft. A separate government agency is neither necessary. This task should simply be part of the Treasurer’s job. Draft a brand new tax code. The tax code of this State is a complete and total train wreck, replete with progressive income tax, and a grocery list of elaborately named and confusing tax forms. Anyone can see for themselves the names and the many different forms under the Personal Income Tax code, alone: https://www.revenue.wi.gov/Pages/Form/2017-TaxIndividual. Now of course every taxpayer doesn’t have to fill out every single form that is listed, but when these many types of forms are needed to collect the revenue necessary to run state operations, something is horribly wrong. Of course, the legislature and the governor are the only ones who can approve and then sign tax reform into law, but as State Treasurer, I can certainly propose and draft a new tax code and use the bully pulpit of my office to promote such a proposal statewide. The Constitution Party opposes a progressive income tax and property taxes. Having to save receipts, itemize expenses and live in dread of every April 15 is wrong. While the legislature cannot stop the federal income tax, they have total control over a state tax on incomes. I thank the Republican-controlled legislature and Governor Walker for providing us tax cuts and tax changes over the years. That said, tax cuts are not a new tax code, any more than a few new shingles on a roof is the same as a new roof. Republicans did eliminate the state property tax, but what are their locally elected officials doing to end the local property tax? Holding the line on property taxes locally does not eliminate that tax. On a parting note, voting for me this November instead of the Democrat or Republican candidates for State Treasurer will not affect the balance of power in the legislature and won’t affect the governor’s race. So please do not be concerned that a vote for a “third party” candidate will derail the ambitions of either big-box party. Instead, enjoy the opportunity to consider the options in this race, in a calm deliberative manner, without the churning angst associated with the dire political consequences of victory or failure that may potentially be associated with other races. If you would rather have a true constitutionally oriented alternative, instead of having the same two interchangeable parties, with the same party loyalties and the same party enmities, in every elected office in Madison, now is your chance. Thank you for reading, and for considering Andrew Zuelke for the Office of State Treasurer.